I gather there's a fifth book coming out which will be the first one written from Edward's perspective. And I'm almost sure there's elsewhere she could go for prequels and sequels and I'm sure she will. Unlike most of the world tho, I'm not avidly awaiting the arrival of the 2nd movie ... 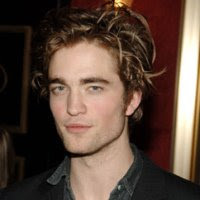 I truly don't like the dude playing Edward. Which just irritates me thruout the movie. More annoying is I thought he was ruining Brothers & Sisters for me too, so convinced was I that it was the same actor ... until I tried looking it up for this post. Turns out there are two completely separate but equally annoying (and not my kinda good-looking at *all*) actors out there. 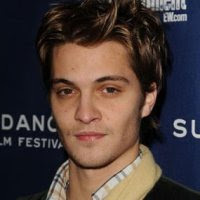 Come on, tell me you aren't equally convinced that Luke Grimes (playing Ryan Lafferty in season 3) & Robert Pattinson (the world's favourite vampire since Brad Pitt in Interview) were not separated at birth (and to prove my point, I'm not even going to tell you which is which!)? hahaha, thats so funny! they do alike tho... and i totally agree... I hate edward in the movies! altho, i'm not even a huge edward-from-the-books fan-girl either.